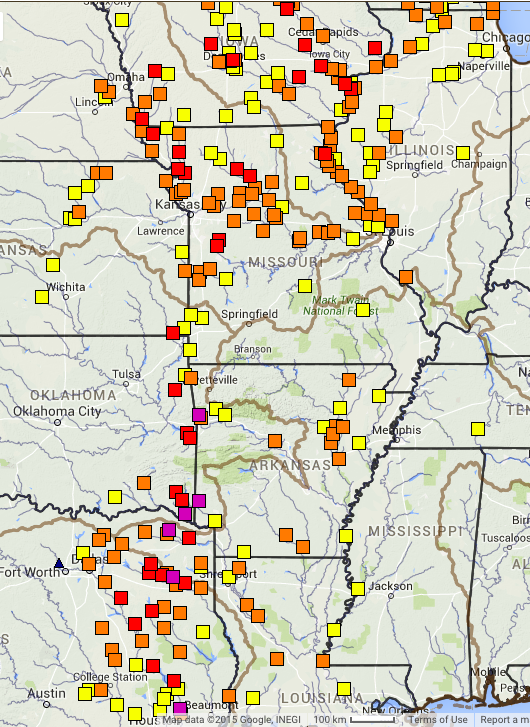 This map depicts the location of flood gages on rivers and streams forecast to crest near or above flood stage. 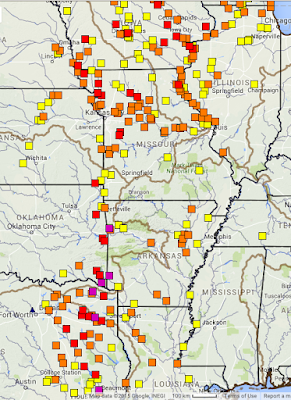 The reds and purples are areas where important flooding is forecast. If you live near these areas and want more information, click here.